Search engine optimization has been changed forever in 2013. 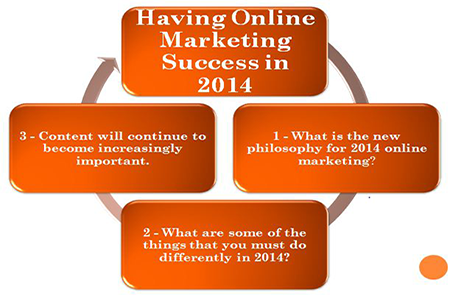 With the continually huge changes that Google implemented through the Penguin and the Panda updates as well as the supplementary programs such as Disavow, there are new tools as well as new pitfalls that must be dealt with in order to create the same success for 2014 that you had in 2013. 2014 will see a continued push for the major search engines to perform search indexing more like a human visitor; however, this human visitor has the advantage of being able to remember everything that it comes into contact with as well as instantly access an endless number of examples to compare. The closer that the search engines come to perfecting this technology, the less that black hat techniques that rely on manipulation will work in increasing the search ranking of a website. Content will become more and more prevalent. In order to receive the best indexing that your site possibly can, you must first relieve your site of weak links. This can be done through the Google Disavow program, which allows you to disassociate yourself from the spam sites as well as the dead sites that may be taking down your PageRank. You must make the content that is on your site as dynamic and as up to date as possible. If you do not have the manpower to keep the news on your site up to date, then you can take advantage of many aggregation services to siphon in content from other sources. This is better than a static website, which will always be ranked lower in the search engines than dynamic sites. You must be sure to make your code conducive to a high search engine rank. There are many standards that the major search engines adhere to – if your code is not one of these standards, then you will suffer in the search engine rankings. The internal structure of your website should be as perfect as possible. Indexing a site in search engines is much easier if the website is organized in a fashion that makes it easier to index. Imagine having to draw up a table of contents for a book that had no punctuation – this is what an unorganized site looks like to the major search engines. Take the time to properly label all of your pages with tags, link internally to each of your pages from other pages, spell check and grammar check your web copy and cut down the number of pages on your site to only those that are truly necessary. Above all of the changes on your website will be exclusive content. Exclusive content will be found by the major search engines and always be ranked above synthetic or copied content as long as it is relevant. In order to make sure that it is relevant, perform tests with the free word-web tools that are provided by the major search engines. One of the most important updates that you must make is that your content cannot be filled with keywords in a spammy fashion. Individual keywords have been downgraded in the formula that the major search engines use in determining the relevance of web copy to a particular subject – what is much more important is the behavior of people who find the website. Make sure that your copy reads well to a human so that the website will be “sticky,” that is, people stay on your site for a long time after visiting. Google Buzz is Social Media…Competition for Twitter?